It was Mrs. Prentiss' intent that this little gem would be a tool through which children would learn to obey. 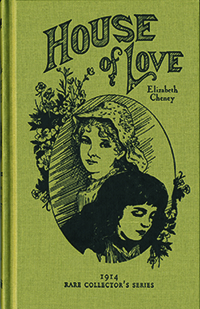 Read about the contrasting lives of Tangle Thread and Golden Thread; one is the cause of much grief for her godly mother, and the other the only bright spot in her poor mother's world. From Amber Sill of PAYSON, Illinois on 7/9/2018 . This has been my 8 year old's favorite thus far. She has the heart of gold at times as it is but had been struggling lately with getting along with her 4 & almost 7 yr old siblings. After reading this, she has a new desire to obey & be the little golden thread in her family's eyes. It truly touched her heart & planted seeds of understanding importance of obedience & given her emulation as the mother tried to do. My daughter delights in hearing she is being a golden thread. Thank you Lamplighter for helping this mama to reach the heart of my children through God's word & sharing these sweet stories. It will be one I'll be blessed to see passed down for generations to come. From Bearmel of Yarmouth, Nova Scotia on 10/29/2017 . From Mrs. J. S. of El Dorado, Kansas on 11/10/2015 . This book has very short chapters, and I end up reading 5 or so at a time, because the children beg for more. It's a very intriguing story so far. 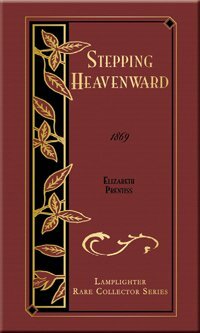 I'm happy to have found a book by the author of Stepping Heavenward!!! From JOHN PEDERSEN of Ellettsville, Indiana on 9/4/2014 . 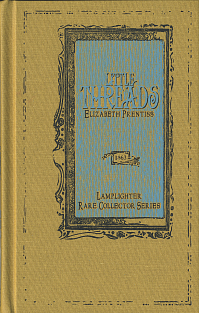 Little Threads was thoughtfully written to inspire the importance of obedience, being patient, and loving. I was hanging on a thread for the outcome of what would happen to Tangle Thread and Golden Thread. From Nancy Woleslagle of Stockbridge, Georgia on 8/7/2014 . This story really touched my children's heart as they could see themselves in the characters. They asked themselves "Am I Golden Thread or Tangled Thread? ".